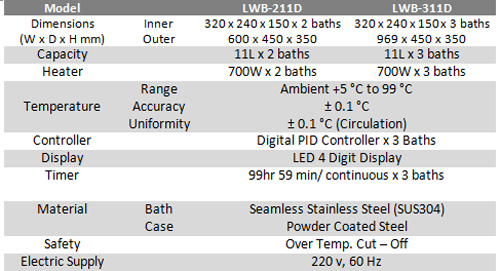 Precision Digital PID Controller - Provides +1.0°C uniformity, +0.1°C accuracy, Temperature range from ambient to 99°C. 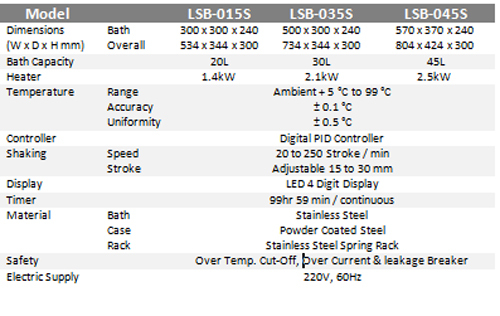 Front mount touch-sensitive membrane type keypad controller with timer, alarm and auto- tunning function. 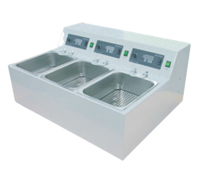 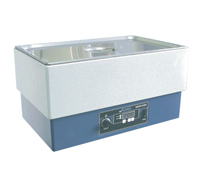 3 Baths Chamber Models have independent controls for operating at different temperatures ideal for industrial, pharmaceutical, clinical and biomedical use. 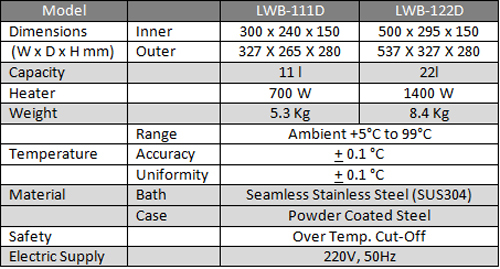 Precision Digital PID Controller - provides± 1.0 °C uniformity, ± 0.1 °C accuracy, temperature range from ambient to 99 °C, easy-to-use membrane touch type, front mount controller with timer, alarm, and auto- tunning function. 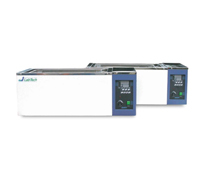 Over Temperature Protection & over current, leakage breaker, ensure user safety.